We awoke early this morning as we left the balcony curtains open and the sun beamed directly in at around 5am. Looking out I could just make out the Isle of Wight in the distance and what appeared to be a beautiful day ahead, at least for those joining this afternoon! As we slowly crept back into Southampton we packed our final things away and headed up to the Sahara buffet for breakfast. You have to leave your cabin by 8am unless you are at the Black level in the MSC Voyagers loyalty scheme. 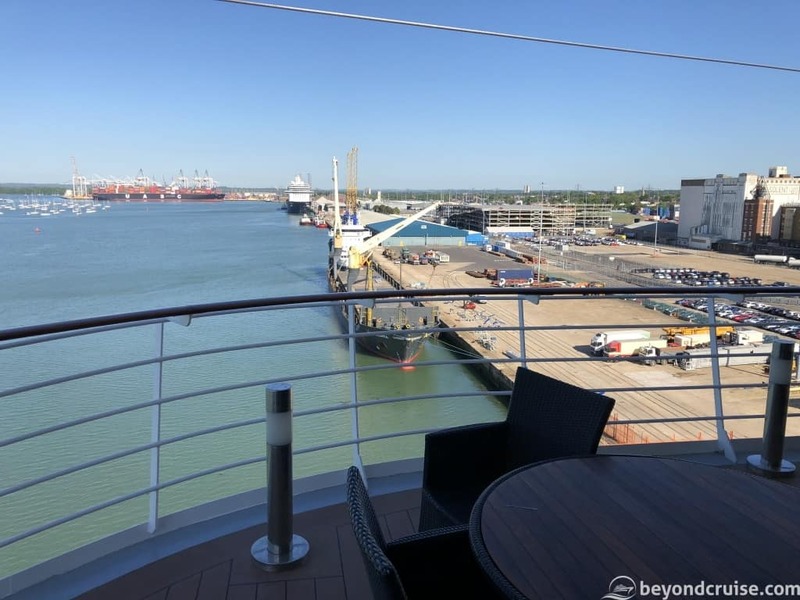 We had our final breakfast on the terrace at the aft of the ship whilst watching the ship come alongside and although it was very bright and sunny, it certainly didn’t have the heat to match it – we must be back in the UK then! After breakfast, we spent a little while taking our last look around Deck 13 and enjoying the sun, which was beginning to warm up the decks a little now. An announcement was made at 10am and it was time for us to disembark. 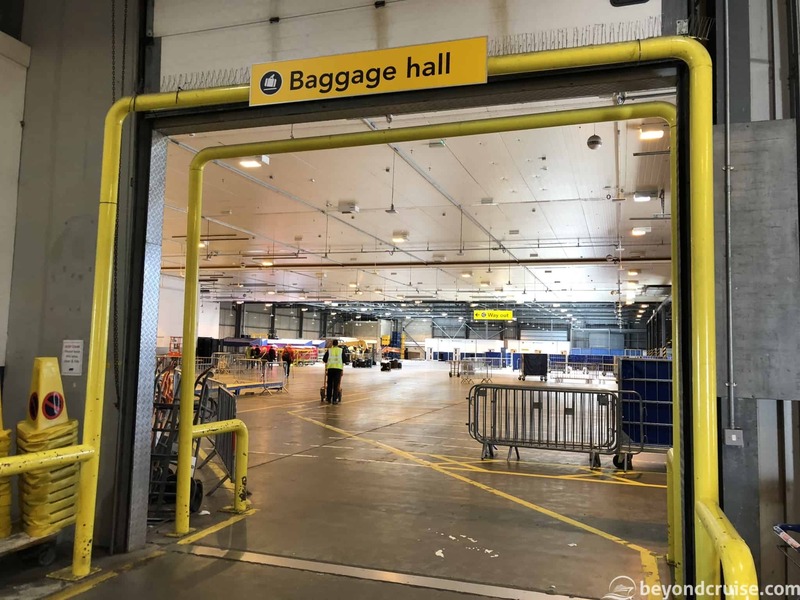 In case you’ve never disembarked a cruise ship before, your main luggage (suitcase, etc that you put outside your cabin the night before) is taken off the ship for you and left in a colour-coded area in the baggage hall at the port. You just need to remember the colour of your baggage labels before they go so you look in the correct area. Your other luggage (whatever you wish to carry) you just carry off yourself. 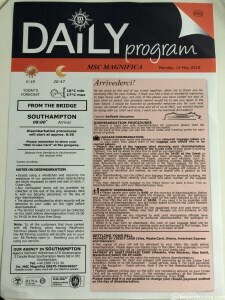 We headed to the gangway, which was located on Deck 5 by Le Gocce Reception and scanned our cards for the last time. A small walk down the ramp and into the baggage hall and our cases were waiting for us. From there you just follow the coloured line on the pavement to the car park you were parked in. Red for us. Disembarking a ship is as simple as that! 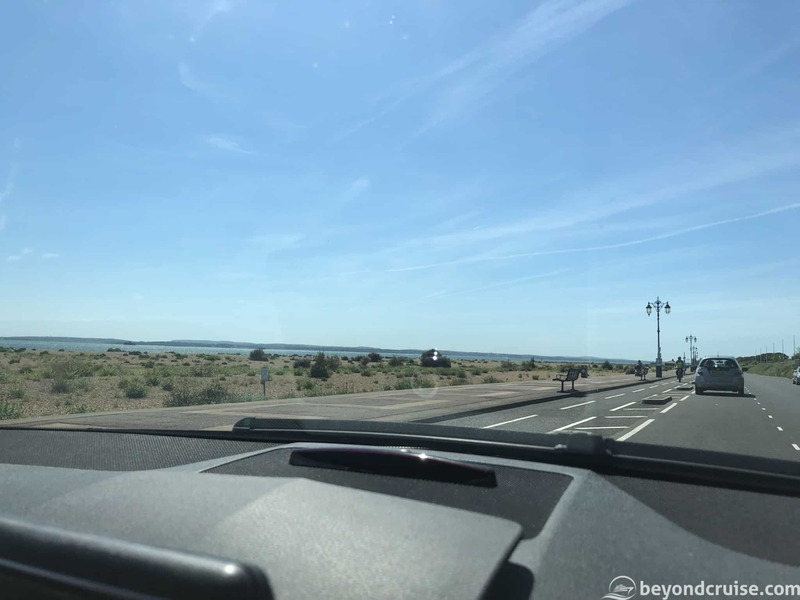 After we packed the car we drove out of the port and headed East over to Southsea. Having completed several 10K charity runs along the seafront of Southsea in the past, I thought it would be nice to include a brief visit as we had some time to kill today. Southsea is right next to Portsmouth, which is about a 40-minute drive from Southampton (if traffic is being kind). It has a great seafront you can take a stroll along and has little cafes and a big restaurant right on the beachfront. 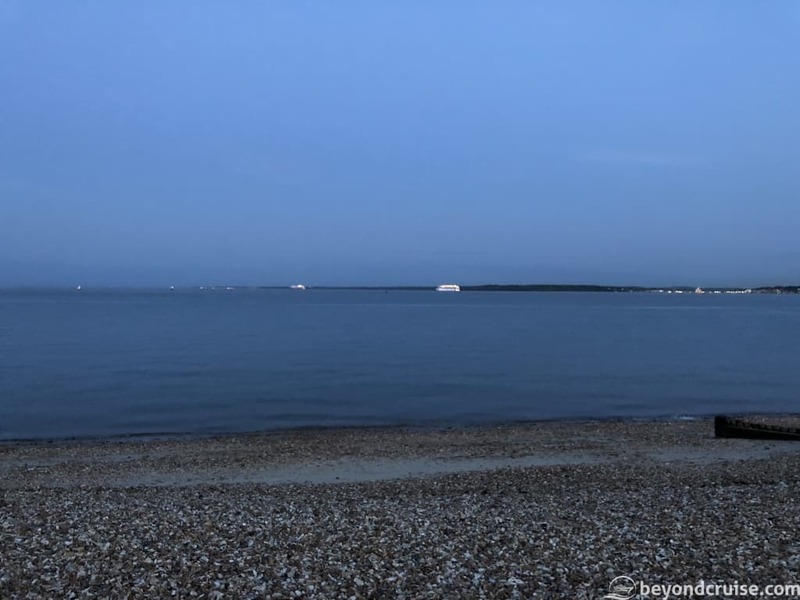 Additionally, you can catch the only commercial passenger hovercraft that operates in the UK from here – the quick journey from Southsea to the Isle of Wight is every 30mins or so. Just past the hoverport, there are several arcades, fairground rides, cafes and even a hotel! There are other things to do here too, including visiting the aquarium, the Royal Marines Museum and the little Southsea pier too. It is a really nice place to visit before or after a cruise! 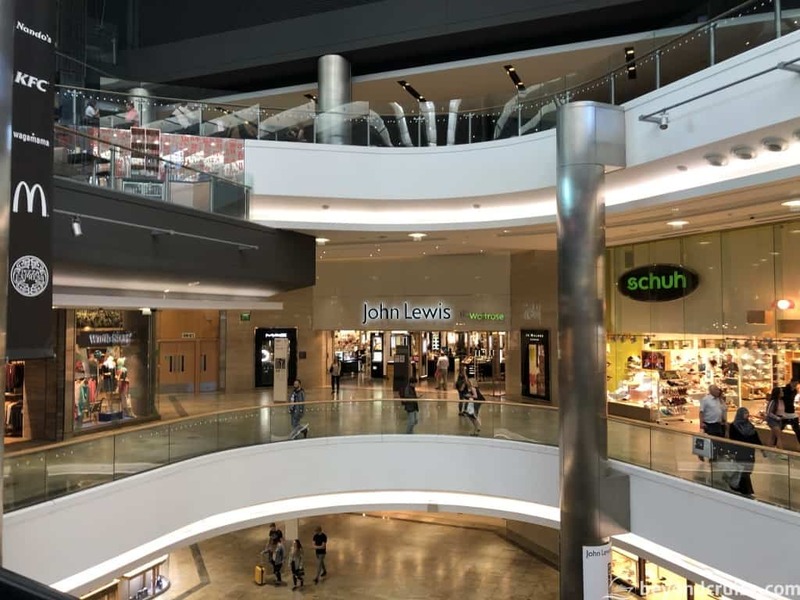 After our visit to Southsea, we headed back via Southampton and made a quick stop in Southampton’s WestQuay shopping centre – which is a really nice modern shopping centre and entertainment complex. On the top floor of the John Lewis store is The Place To Eat – their restaurant offers panoramic views across the port and is great for cruise ship spotting. But better still, John Lewis actually designed this restaurant to mimic cruise ship buffets. 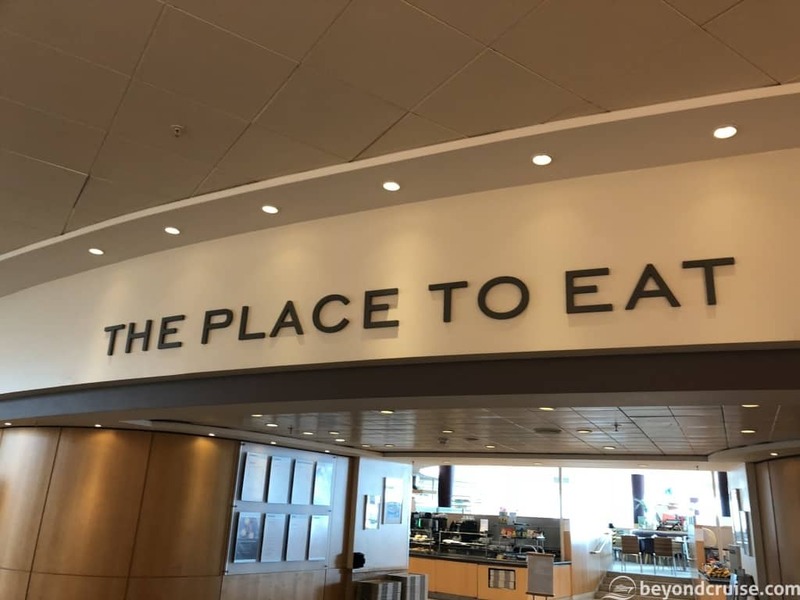 Although there isn’t a distinct buffet in there, the restaurant is split into stations, including a really good omelette station – where you pick the ingredients and they make your omelette right in front of you. After having lunch here, it was time to head to Calshot, which is on the opposite side of the Port of Southampton. We had actually sailed past this on our sail into Southampton this morning. Calshot Spit as the actual area is called is a tiny stretch of land that is next to the small village of Calshot. It has an activities centre which includes an indoor entertainment centre (sports and games) and outdoor activities including sailing and windsurfing. 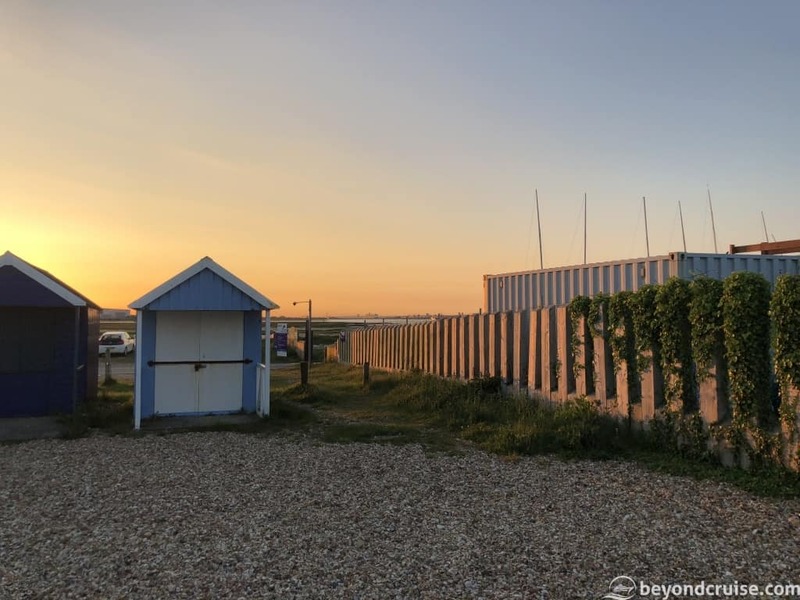 Next to the activity centre is a small car park and accessible beach – ideal for watching ships come and go as they leave Southampton and pass the Isle of Wight. We waited until nearly dusk and then Mein Schiff 3 sailed around the corner of the beach and straight past us. Around fifteen minutes later our home for the last two weeks, MSC Magnifica, appeared in view and we spent the next half an hour filming her and taking photos. It was sad to see our cruise ship sail off in the distance to her next itinerary without us onboard, but you have to get off at some point I guess! 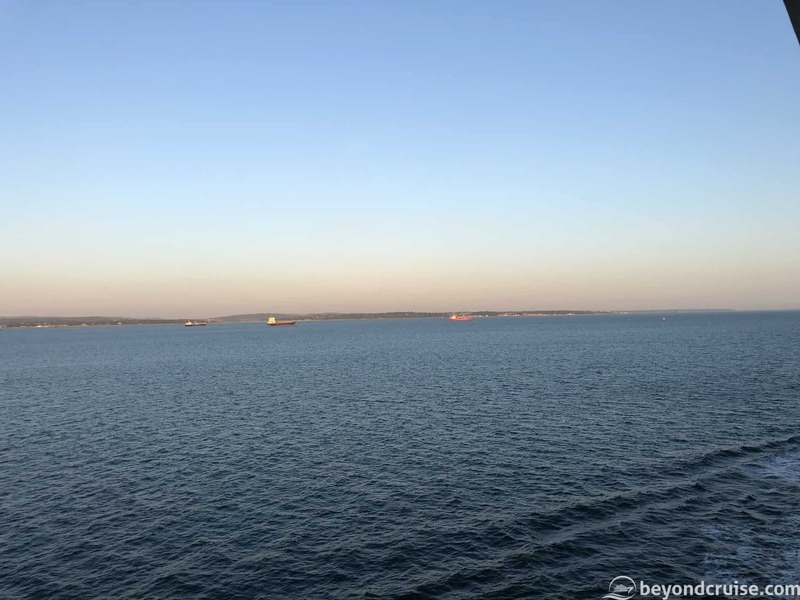 Here is a video we made of her leaving Southampton and en route to Norway! After she faded into the distance, we set off on our journey back home! 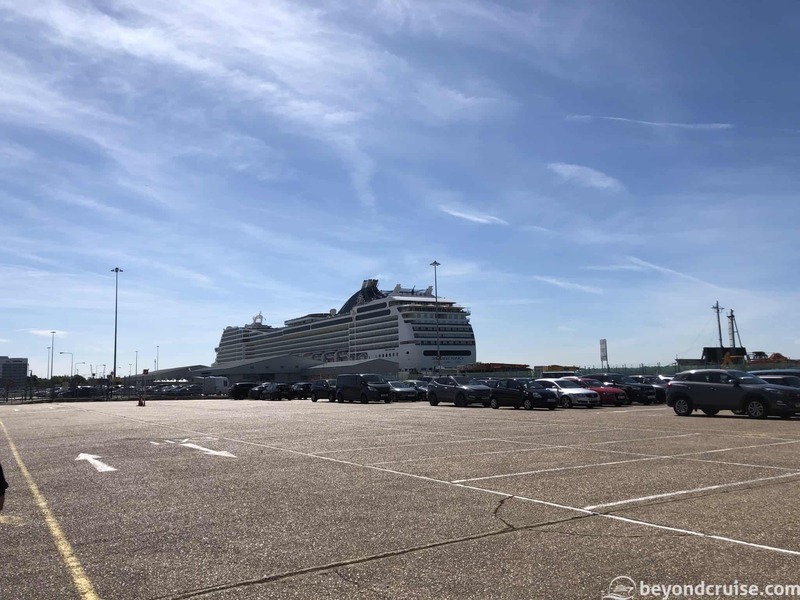 If you can’t tell by now, we thoroughly enjoyed our time onboard MSC Magnifica from the helpful and friendly crew to the delicious fresh pizza and wide choice of bars we were impressed with our first cruise with MSC Cruises and especially MSC Magnifica. What is interesting to see is how they deal with such a large multi-cultural mix of passengers. In the past, I have cruised with mainly British passengers and everything was aimed at the British cruiser. 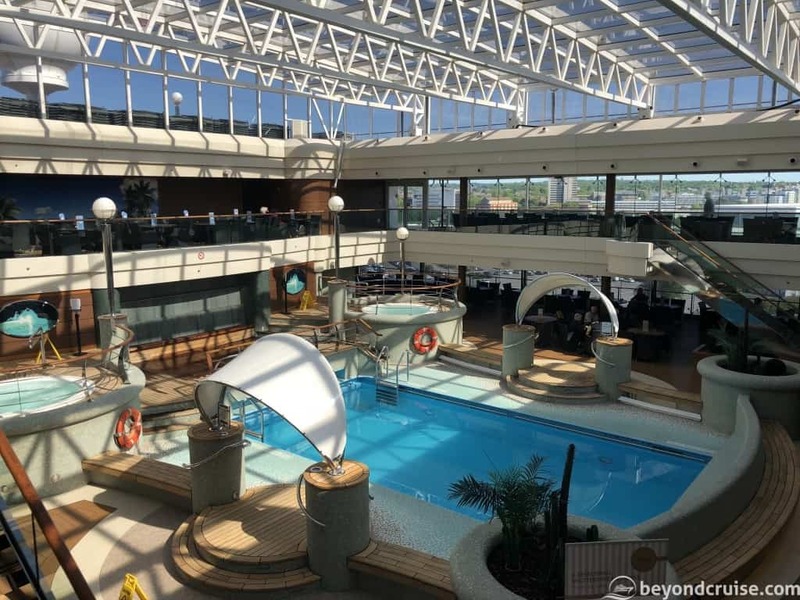 But MSC Cruises is European by nature (if you didn’t know by now, MSC stands for Mediterranean Shipping Company) and we think they cater to each of the significant markets onboard really well. It isn’t easy trying to please British, German, French and Italian (and others!) passengers, each has different requirements from how they are waited on (or not) and food expectations to service and entertainment options. What is nice about MSC Cruises is they are not only putting several British twists on MSC Magnifica (coffee and tea-making facilities in cabins, different breakfast options, British comedians and more) but they aren’t doing it in a way that upsets other nationalities. Announcements are generally in two or three languages (with English being the first) and the menus in all bars and restaurants are always in English first (other languages are available on request). 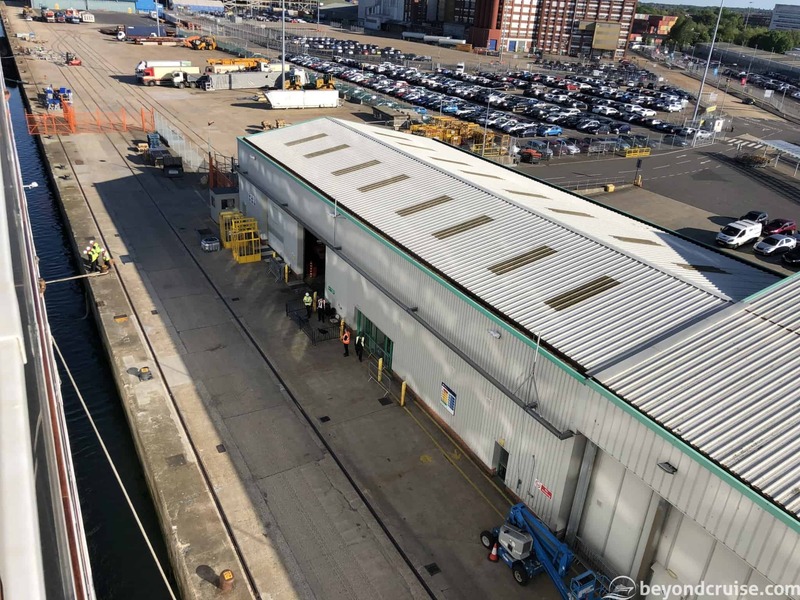 If you are expecting a totally British P&O Cruises-style cruise onboard an MSC Cruise ship, then perhaps this isn’t the cruise for you, just like it wouldn’t be if you were to cruise on a Royal Caribbean cruise either though. What you will enjoy is the Italian-themed decor of the ship, the shows (which aren’t all Italian but do include classical music and some opera) and for pizza-lovers – the fresh pizza is amazing and available 12 hours a day, every day! The multi-national and multi-cultural mix the ship has is lovely and laid back and makes for a very enjoyable cruise. One nice thing we really enjoyed on this itinerary was the fact that Southampton wasn’t the only embarkation point for passengers. We had new passengers join us in Hamburg and in Le Havre – there are many benefits to this. You find embarking at your port a lot quicker because they aren’t turning the entire ship around. 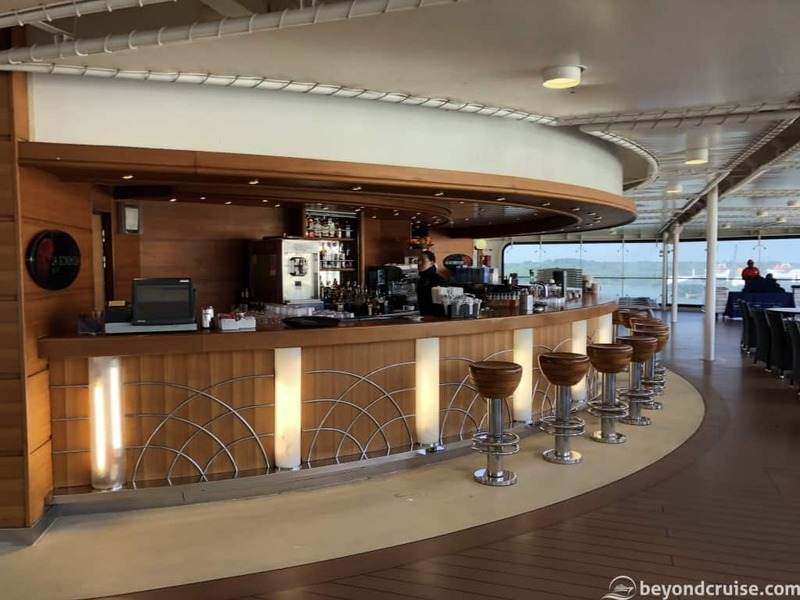 Also, on your last port day it is a standard port day for the ship – so breakfast and other options aren’t limited like on other cruise lines. Plus, you get the added bonus of new smiley happy faces joining you throughout the cruise – it is nice to witness other people’s first night onboard! MSC Cruises cares about its British passengers significantly – so much so that during the British Summer season they have a British Hotel Director onboard and the Executive Chef is British too. But aside from them, we found all staff helpful and eager to please at all times. The reception crews were mixed-nationalities and each time we visited they were all excellent too. Should you encounter an issue on your cruise, I don’t doubt they wouldn’t be able to help you. 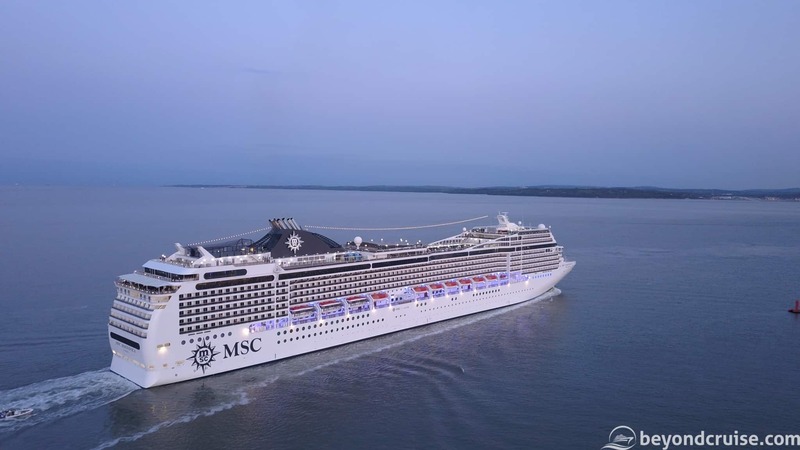 We hope you’ll enjoy a cruise aboard MSC Magnifica whilst she is cruising from Southampton this Summer (2018) – but if not, she’ll be in the med for fly-cruises after that and if you’ve been on her and really love her, you’ll be pleased to know she will be sailing a world cruise in 2019 and in 2020! Something we’d love to live-blog! 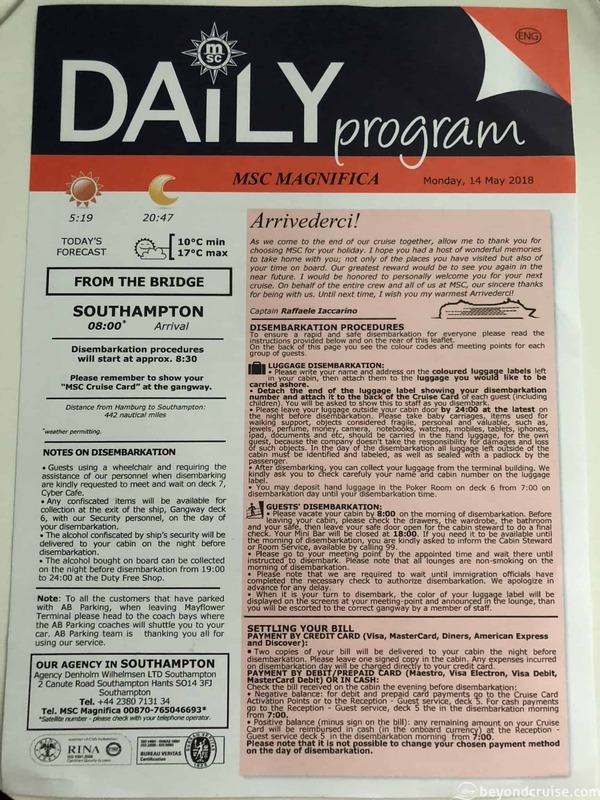 We’ll shortly be publishing a multi-part guide titled, Everything MSC Magnifica which gives you a rundown of every deck and every venue on the ship. It is the ultimate guide for anyone wishing to experience MSC Cruises or MSC Magnifica. We’ll also have many follow-up posts with all the photos and videos we shot whilst onboard for two-weeks (there is a lot!). We really appreciate the support from not only you, our visitors to our live blog and social media channels, but also the crew onboard MSC Magnifica who put up with us filming and taking photos of everything at all hours of the day! Without their help, our live-blog would have been much harder – so thank-you! We look forward to you joining us on another live voyage soon. Make sure you follow our channels or subscribe to our newsletter to find out where we are going next! Additionally, we also have our own Facebook Group which you can see behind the scenes posts in and ask us stuff direct! Plus you can chat anything cruise in there too! Just join our group! You can follow us on our social media channels too, we’d really appreciate it!